There are a wealth of note taking apps for iPad already in the App Store, but the simplicity of Daedalus Touch is what makes it so great. It's got an excellent interface that focuses on allowing you to take notes and switch between stacks quickly. 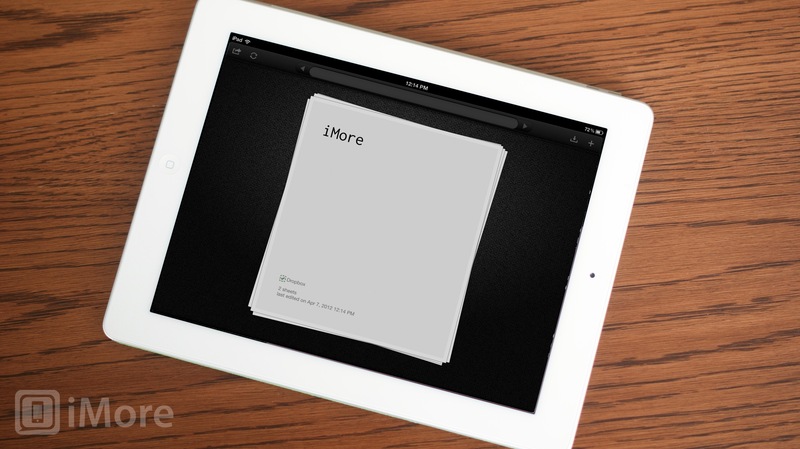 That makes it the perfect tool for taking class or meeting notes in an organized way. 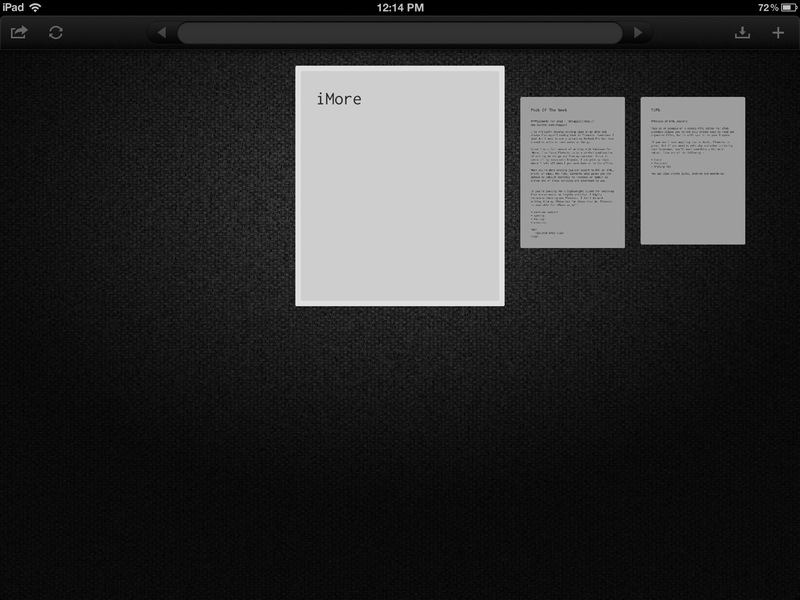 The main difference between Daedalus and other note taking apps is how it handles your notes. There are no notebooks or endless pages to scroll through. Instead, Daedalus sorts your collections into stacks and individual pages within those stacks. When you're ready to start typing on a new page, just swipe to the right. Go back a page by swiping left. The same functionality is built in to stacks. Double tap to open a stack and just scroll through the pages within that stack from left to right. To exit a stack, pinch it closed with two fingers to return to the main screen. If you're a student, stacks is a great way to sort notes by class. Make a stack for Calculus, Biology, Accounting, etc.. then quickly swipe between them and double tap into any stack to take more notes or view notes you've already typed out. You can choose to turn auto-caps, auto-correction, and spell check on or off. Tapping the eye in the upper left side of the screen will lets you search Google, Wikipedia, and dict.cc for information via a built-in browser. This makes it easy to look up information without having to jump back and forth between Safari and Daedalus. You can also tap into any stack and type a search term into the top bar. Tap return and scroll through your stack to see the instances of that term. It'd be nice to see it aggregate a list of where the term was found instead of having to page through though. Daedalus supports syncing with both iCloud and Dropbox. You can navigate to the folder you'd like to bring down and import folders you already have into stacks. Just choose the folder you want to turn into a stack and Daedalus will do all the heavy lifting for you. From the main stack screen you can click the sync button to sync all the stacks you've created or you can individually sync stacks if you'd prefer only certain stacks be saved to iCloud or Dropbox. 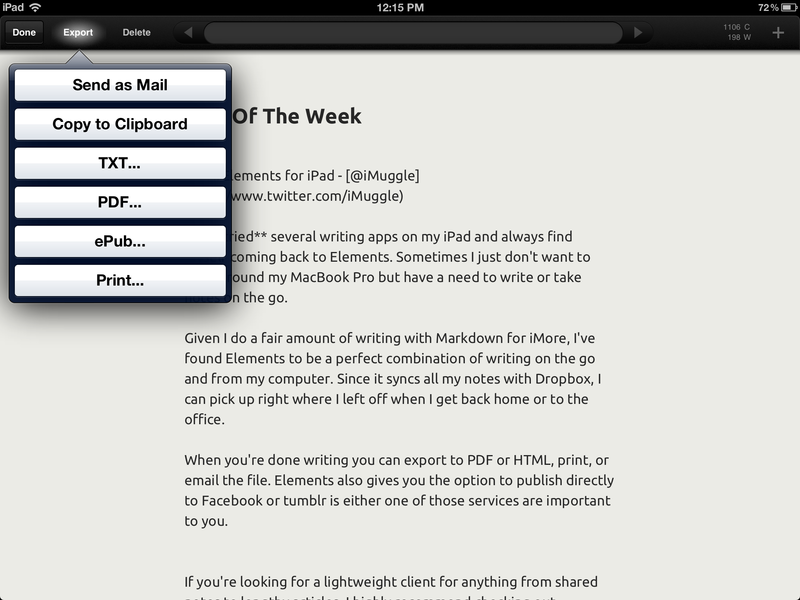 You can share your notes under the export menu in the following ways - e-mail, text, PDF, or ePub. You can also print and copy to the clipboard. 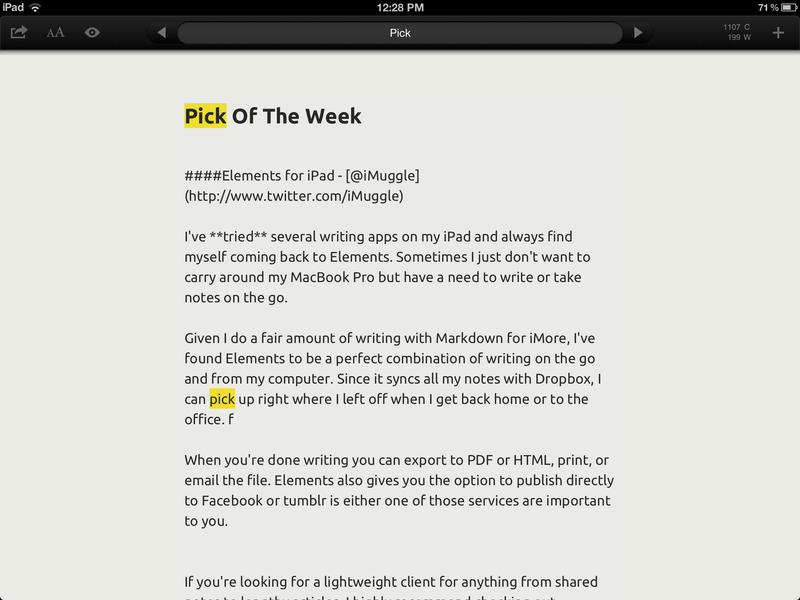 Notice there is no export as HTML option to support Markdown. So if you need to type in Markdown, you won't be able to export it directly from the app. Deadalus aims to simplify and streamline the note-taking process. For users that don't care about Markdown support and just need the ability to take notes quickly in an organized fashion, Deadalus is perfect. While I stil prefer applications like Byword for writing and Evernote for notes and lists, there are plenty of people who will prefer the focus of Daedalus.